When we started the investigation I went over the equipment with our new P.R.EY. Trainee. 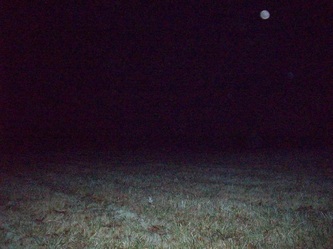 During this time Duwayne, Ray and Geno started taking pictures around the hey barn hoping to capture shadow movement. Duwayne at this time started a EVP session and caught some good results with the digital recorder (see evps below). 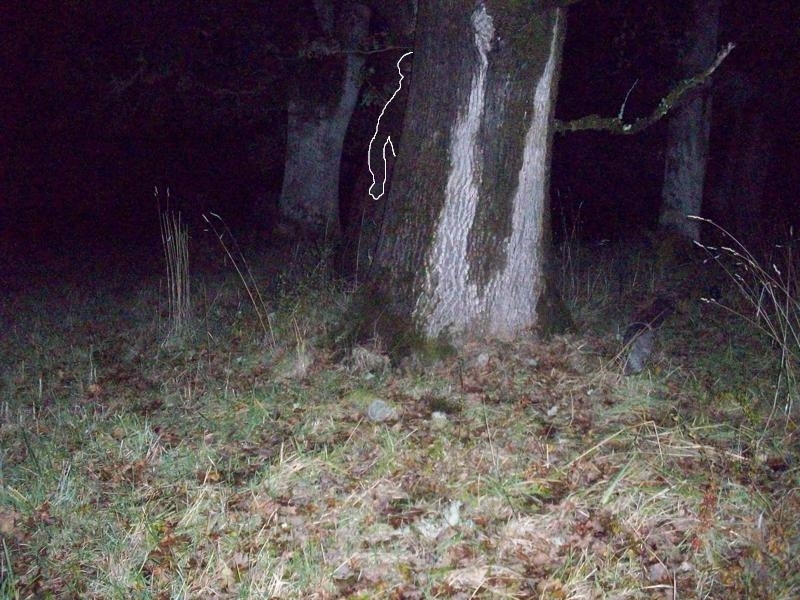 The new trainee and I was getting ready for our investigation I saw a flash of white light flickering about eight feet from the ground by a tree. 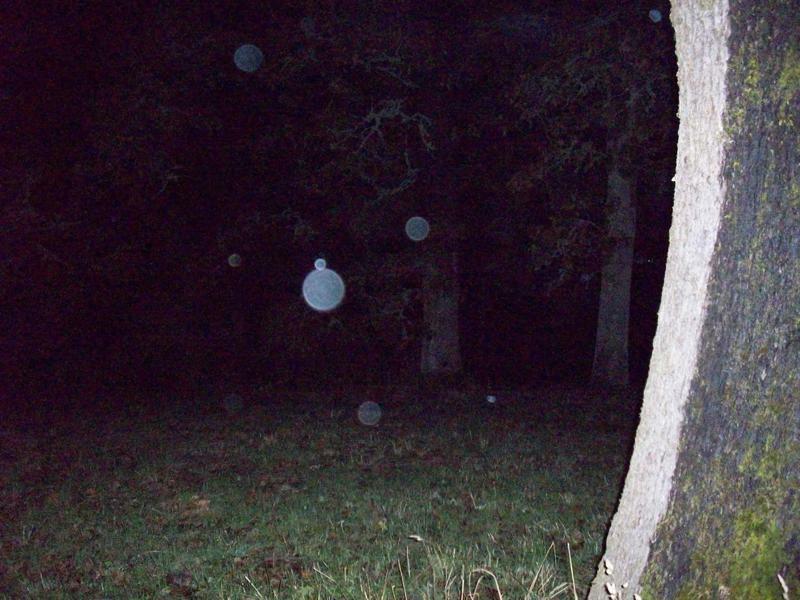 I told new trainee to come with me and we ran over and started taking pictures around the tree and captured a softball size orb (see below). The new trainee and I head over toward the open field. While we were walking we started to hear footsteps around us. 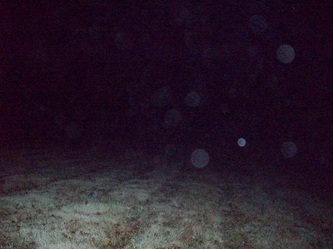 The trainee started to take pictures around the area were we heard the footstep and captured several orbs. At this time the trainee started to hear a male voice say to him commis or Thomas (listen to the evp below). 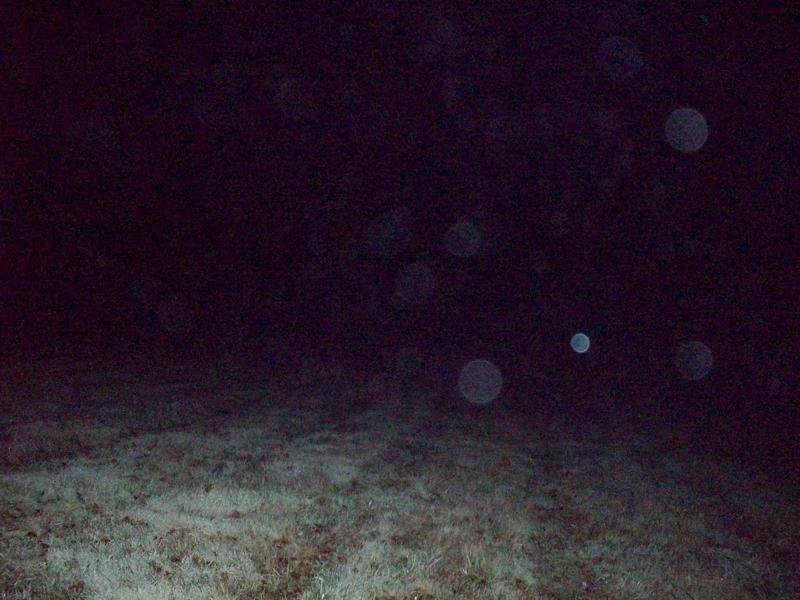 As we arrived at the beginning of the field the new trainee saw a shadow coming toward him and the trainee told it to back away from him. The shadow stop and the trainee said to me it's a teenage boy. I told the trainee I'm going to set the EMF meter on the ground and see if the boy will come to it. I asked the boy to come closer and make the lights on the EMF to go off. 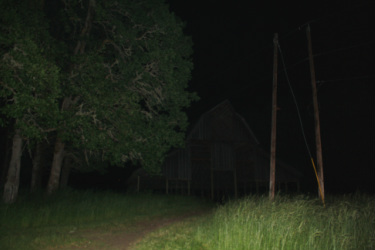 At this time we had the digital recorder going and caught a evp with the boy say " I see" like he understood the question. 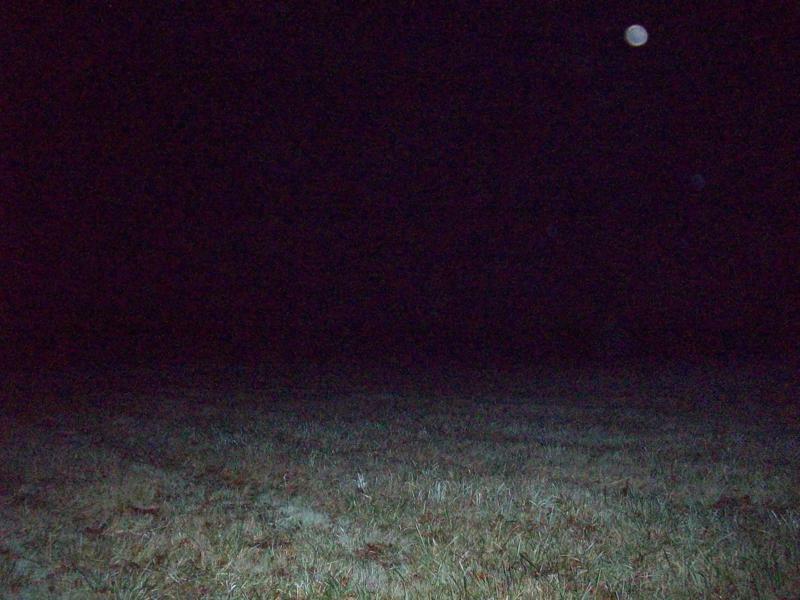 After while the trainee told me he is going to pick up the EMF meter and try to get the boy come closer. While he was talking to the boy I notice a shadow darted toward the trees by the field and I started to hear footsteps by the trees. I told the trainee I'm going to take pictures around the trees because of the footsteps I heard. 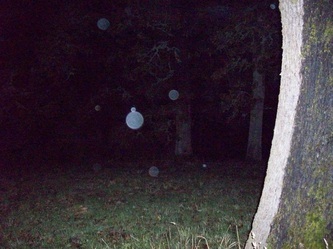 I started taking several pictures and the last picture I took We captured a shadow peeking around the tree (see photo below). We didn't notice the shadow until after the investigation was done. The trainee notice the shadow on his laptop while going through the photos. "No... Don't Do That "